I had a lot of fun with my upline, Shelly today. She sent out a team email challenging us to create a SIP card and upload it to our team Facebook page. Then she called me and we chatted for awhile. While chatting, I could hear her diligently stamping away. She’s an excellent multitasker that Shelly! So while we continued to chat, I stamped away and created two cards that you could make with very limited supplies! You’ve seen me use this technique before. It’s called the In Between technique. 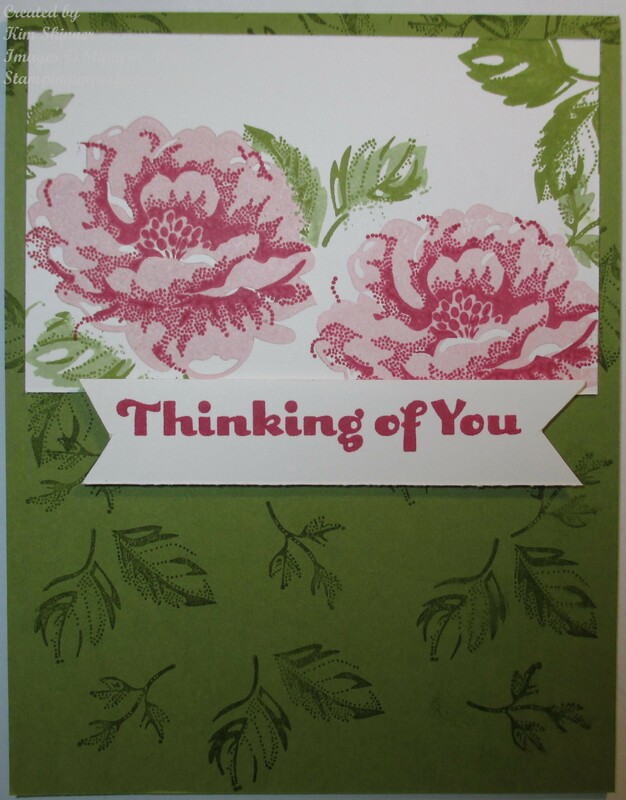 I used a Baked Brown Sugar Stampin’ Write Marker and a Crisp Cantaloupe ink pad. There are two stamp sets used here as well: Feels Good and Thoughts and Prayers. 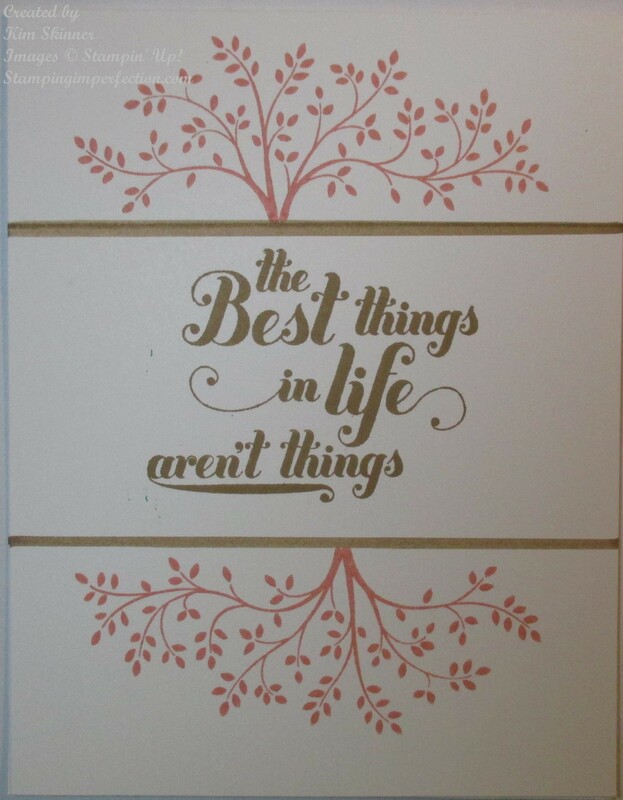 Basically, I stamped my sentiment in the middle of my card front which is one half of a piece of Whisper White card stock, cut at 4-1/4 x 11 and scored and folded at 5-1/2″. 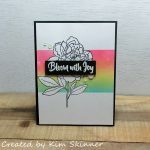 Then I placed my size H clear block over the top of the sentiment and drew a line with my marker along the top and the bottom of the block. I placed a giant post it note along one line to mask or cover the image and stamped the tree image from the Thoughts and Prayers set in Crisp Cantaloupe. I flipped the post it over to the other line and stamped the tree image again in the opposite direction. Done!!! I created a mask for each flower by stamping the solid image on a post it note twice and cutting out each image. I used these to cover the flower images so I could stamp leaves over it without them overlapping the images. This is called masking! I then stamped the bottom of the leaves in Pear Pizzazz and the top in Old Olive. I attached this piece to the top of the card with snail. The last part of this is the sentiment. I stamped a sentiment from Four You in Rose Red on a piece of scrap Whisper White. I trimmed it, cut the banner ends and attached it to the card with stampin’ dimensionals. (Shelly said that layers were okay in a SIP card, so I didn’t violate her rules.) Again…done! Keep in mind that I was talking on the phone at the time I was creating the cards. But let’s face it, I’m just not a perfectionist! Even under the best of circumstances! Shop for your Stampin’ Up! 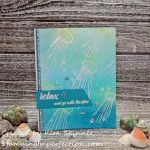 supplies at mystampingstore.com! If you would like a catalog, please fill out the form below. I would be happy to send you one!!! Shop for all of your Stampin’ Up! supplies online at mystampingstore.com!! !